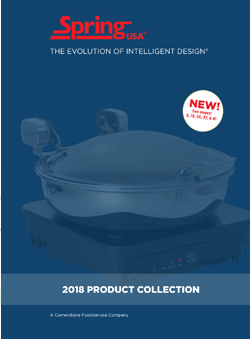 Classic Chafing Dishes Come With a Full-Sized Insert & Fuel Holder. Axles, just like brake shoes on a car, can & do wear out, over time. Replacement Axles can be ordered. See Item # KAK-142. 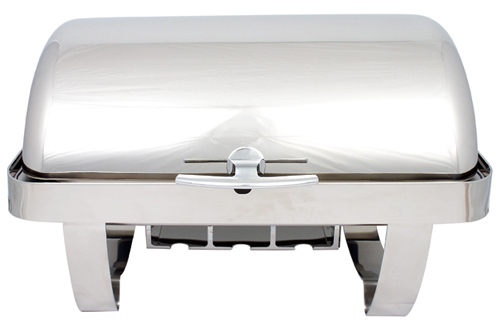 Classic Chafing Dishes are 18/8 Stainless Steel. To order a replacement cover, request Item # E4509-61. To order a replacement water pan, request Item # K509-60. For additional insert options, contact your Spring USA Sales Coordinator for assistance or recommendations. 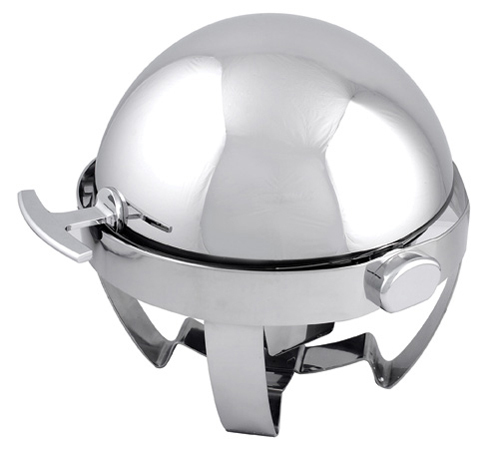 Chafing Dish Can Be Used With (Optional) Electric Heating Element Item #’s 9524 or 9524/1. To Order A Replacement Water Pan, Request Item # K510-60/30. To Order A Replacement, Full-Size, Stainless Steel Insert, Request Item # 510-66/30. Looking to vary the look? Contact your Spring USA Sales Coordinator for additional options for inserts.